About NLP Coaching and the Tad James Co.
With more than 30 years of unrivaled experience in conducting NLP coaching trainings, seminars and personal growth coaching, the Tad James Company is one of the most prestigious NLP (Neuro Linguistic Programming) and Hypnosis and Hypnotherapy training organizations in the world with the highest graduate satisfaction. With our main offices in Sydney, Australia and Henderson, Nevada, USA, the Tad James Company, can assist you in improving your abilities and outcomes through our various NLP practitioner trainings and certifications, whether your interest is business, education, coaching, business coaching or personal growth. The Tad James Co provides energizing support for individual advancement both in your personal life and professional careers. We help you discover goals, strategies and opportunities to become a successful, compelling and transformational individual. As the foremost experts in neuro-linguisitc programming and Certified Master Trainers of NLP, Drs. Tad and Adriana James have published numerous course books and recorded audio and video programs in a FasTrak™ format that will quickly aid you in rediscovering your life and helping others rediscover theirs. • FasTrak™ NLP Practitioner Certification Training – you are trained to discover strategies, expand career options and develop new opportunities. • FasTrak™ NLP Master Practitioner Certification Training – technological integration of NLP in your personal business and career goals are taught. • NLP Trainer’s Training and Certification – you will be empowered to become a leader and authority figure through your experience, enhanced capacity to critically examine and influence others. Coupled with the best NLP trainers and NLP coaches in the field of Neuro Linguistic Programming, Time Line Therapy® techniques and Hypnotherapy, the Tad James Co assures you of five (5) of the best trainers in the world. Dr. Tad James, M.S., Ph.D. is a Certified Master Trainer of Neuro Linguistic Programming, Master Trainer of Time Line Therapy®, Master Trainer of Hypnosis and Master Trainer of NLP Coaching. He is the creator of a revolutionary new paradigm for human change known as the Time Line Therapy® techniques. Dr. Adriana James M.A., Ph.D. is a Certified Master Trainer of Neuro Lingustic Programming, Master Trainer of Time Line Therapy®, Master Hypnosis Trainer, and Master Trainer of NLP Coaching. For the last 10+ years, she is conducting trainings and seminars together with Tad, with whom she co-authored the Second Edition of the Best Seller “The Secret of Creating Your Future®”. Brad Greentree is a Certified NLP Trainer and member of the American Board of Neuro Linguistic Programming (NLP). He further expanded his skills to Time Line Therapy® and Hypnosis and has become Certified Trainer in both modalities through the American Board of Hypnotherapy and the Time Line Therapy® Association. 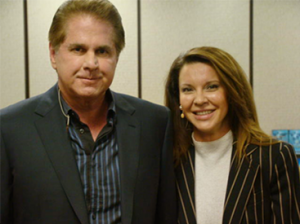 Stephan and Shalee Schafeitel are both Certified Trainers of NLP, Certified Trainers Time Line Therapy® and Certified Trainers of Hypnosis. They were trained by Tad and Adriana James in these modalities – and also in the shamanistic science of Ancient Hawai’ian Huna. Moreover, both are members of the American Board of Neuro Linguistic Programming, American Board of Hypnotherapy and the Time Line Therapy® Association. Meet the rest of our NLP Coaching team or enroll in an NLP Training and discover what it means to exercise your fullest potential and the achieve your goals. If you are a member of the media and would like more information about The Tad James Co. and NLPCoaching.com, please direct all queries to the media info page.